This electric finisher makes it simple to turn out perfect Color Coil® presentations in record time. 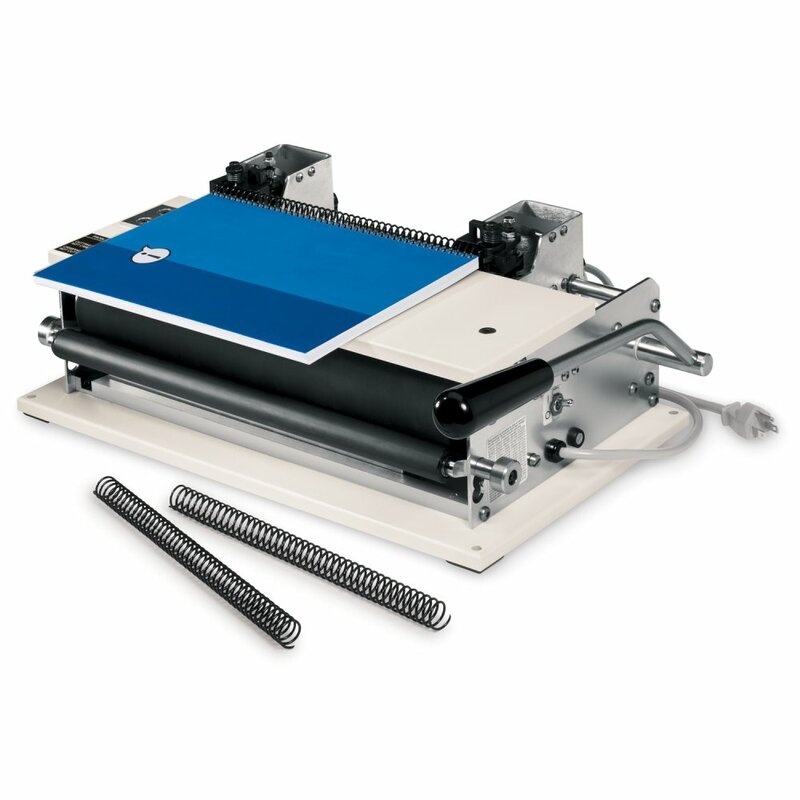 A unique, adjustable dual-roller system quickly threads coil through punched stacks. Built-in dual crimper cuts and crimps both ends in one step. Color Coil always keeps its shape with bounce-back flexibility and it permanently binds. Binds sheets up to 12"
Dimensions: 6.5" x 18.75" x 11.5"